REDKEN PRE EXTREME ANTI SNAP 240ML – HAIRDEPOT - Hair & Scalp Care Products, Prevent Hair Loss, Shampoo, Conditioner, Treatment, Styling, Appliances and more! Redken Extreme Anti-Snap Treatment (240ml) is a leave-in conditioning treatment designed to solve problems with hair that is prone to breaking or splitting, and for heat styled hair. It works by smoothing the hair cuticle and reduces friction from brushing that can damage the hair. Hair is strengthened and less likely to split, break or snap, and become dry and damaged. 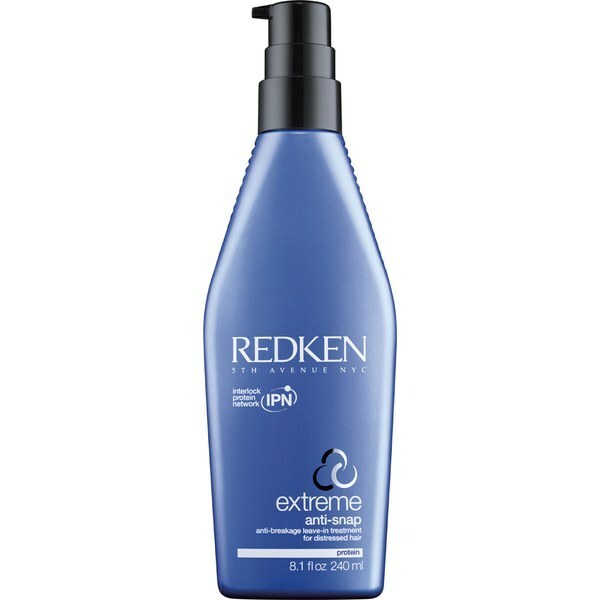 Redken Extreme Anti-Snap Treatment has an exclusive Interbond Conditioning System with a complex of proteins, lipids and ceramide to help strengthen and reinforce the cuticle, as well as protective resurfacing. The treatment has added heat protection to protect the hair during styling.